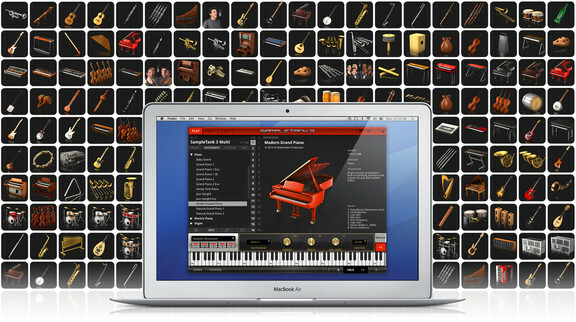 IK Multimedia is now shipping SampleTank 3, the sound and groove workstation for Windows and Mac. 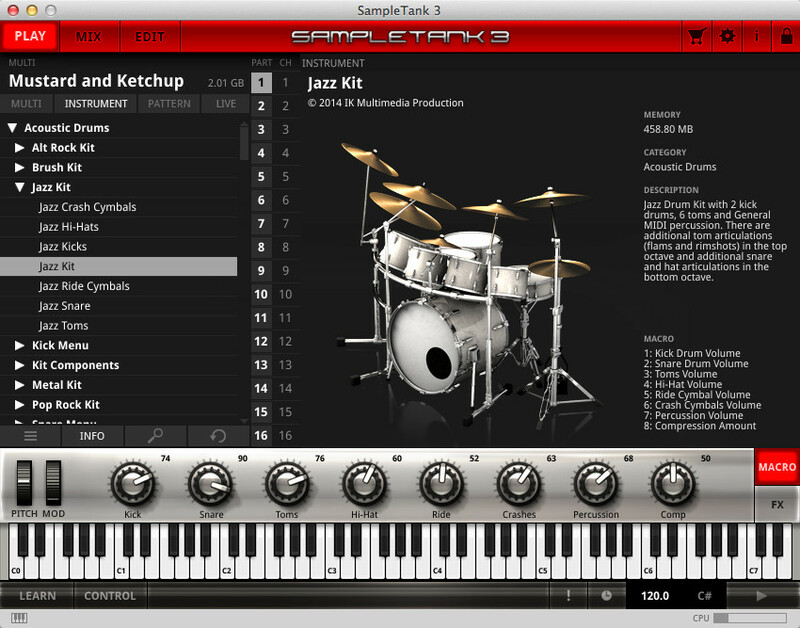 SampleTank 3 features a 33 GB sound library (containing over 4,000 instruments), 64-bit compatibility, completely redesigned user interface, 55 high-quality effects, new loop and groove management and an enhanced sample engine. SampleTank 3 gives musicians a wider selection than ever before, with over 4,000 instruments to choose from in 21 categories that stretch across every genre and style imaginable — everything from acoustic to electric, ethnic to electronic and beyond. 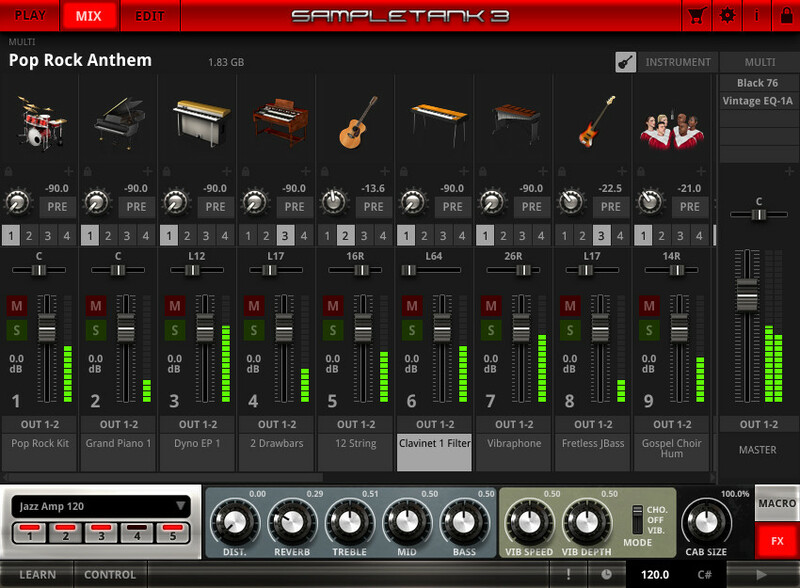 All of SampleTank 3’s sounds have been sampled and crafted by IK’s team of professional audio engineers, with new lifelike expressiveness thanks to SampleTank 3 multiple articulations and new “round-robin” features. 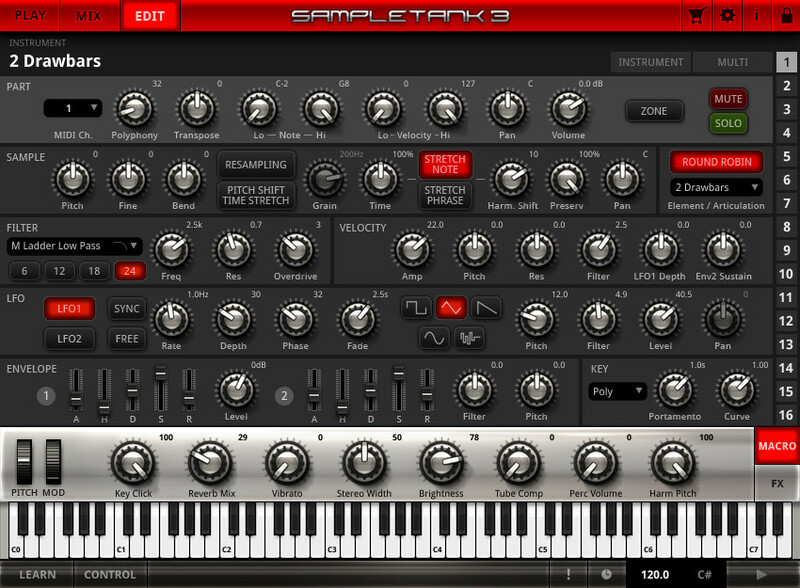 Musicians will enjoy the depth and nuance of their favorite instruments like never before: SampleTank 3’s pianos, drums, basses, guitars, synthesizers, brass, strings, vocals and other more exotic sounds shine brightly and stand out in any mix with little-to-no adjustment required. Over 33 GB of included sounds. Over 4,000 new instruments with 21 instrument categories covering the entire span of acoustic, electric and electronic sounds. 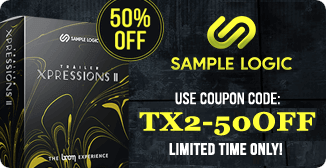 Over 2,500 drum, percussion and full construction-kit loops played by world-renowned artists. Over 2,000 MIDI files in all categories. Completely redesigned interface with 3 main environments: Play, Mix and Edit that retain SampleTank’s legendary ease-of-use and fast operation. 16 channel multi-part Play interface with easy layering and an integrated MIDI player and mixer. 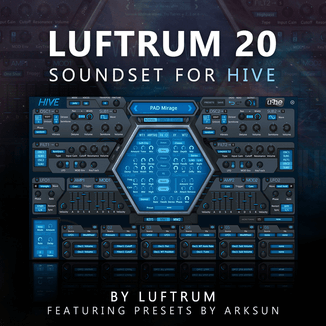 All-in-one sound Edit page with 3 sample engines (including formant preserving pitch-shifting and time-stretching engines), 10 filter types and 8 macro controls per instrument for quick multi-parameter editing. “Round robin” and multiple articulations that are triggerable via key switch, modulation wheel or velocity. Multi-channel mixer-like Mix interface with 5 insert effects per channel, 4 stereo effect returns (with 5 insert effects each) and a master channel with 5 insert effects that allow for up to 30 effects per instrument. 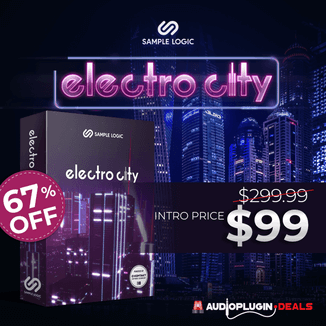 55 high-quality integrated effects, including 22 new effects for mixing, mastering and more creative applications derived from IK’s studio-grade T-RackS and AmpliTube production software. New Live mode lets you organize sounds for setlist and song for instant recall during performance. Accurate 3D renderings of instruments for easy identification and recall. Available as standalone and 64-bit plug-in for AAX, VST and Audio Units platforms on Mac OS X and Windows. Compatible with all previous “Powered by SampleTank” sound modules and sounds (can import all previous sounds and Combis). 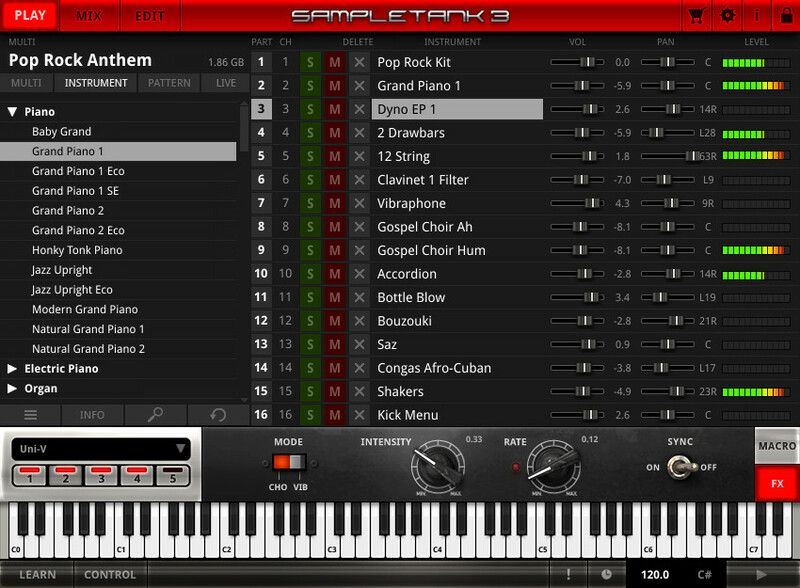 SampleTank 3 is available for the introductory price of $299.00 USD/239 EUR until September 30th, 2014. SampleTank 2 XL or Miroslav Philharmonik full users can upgrade for $149 USD/119.99 EUR, and users of other paid IK software pay $199 USD/159.99 EUR. Regular prices are $349.99 USD/279.99 EUR, $199.99/159.99 and $249.99/199.99 EUR, respectively. Prices excluding taxes.